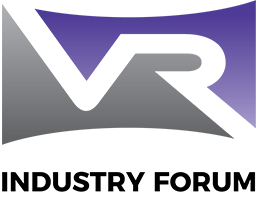 VRIF held a successful VR Master Class and Networking Reception at CES 2018 on Monday, January 8, 2018. Download the presentations from the VR Master Class. We enable VR/AR/MR computing (CPU/GPU/memory) to move to the edge Cloud, eliminating computing power consumption constraints. The VR experience in the Cloud can be shared on demand, which lowers the cost of access. Come see our VR demo of compressing 6Gbps to just 20Mbps with no perceived latency! Tiledmedia will showcase its ClearVR products and services in the Holland Startup Pavilion, Eureka Park, Sands. Providing the world’s most efficient tiled streaming solution, ClearVR can be integrated in existing content distribution chains, allowing content to be distributed in an unparalleled 8k quality to today’s devices over today’s content distribution networks without requiring any edge processing. See www.tiledmedia.com, and contact hi@tiledmedia.com to arrange a meeting.